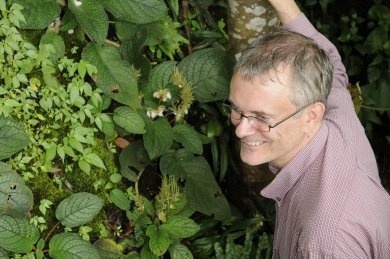 Dr. David Middleton is a tropical botanist, currently Director of Research and Conservation & Keeper of the Herbarium at Singapore Botanic Gardens. He has been author or co-author of many articles on Gesneriaceae, and maintains a particular research interest in the ex-Chiritas, as well as Aeschynanthus and other genera. 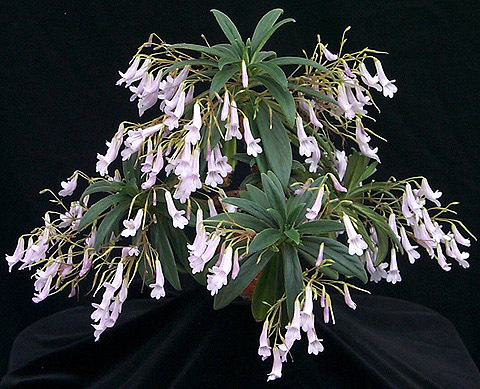 This article is adapted and extended from its initial publication in Gesneriads 62/1 (2012). Chirita as traditionally delimited contains about 140 species found in Sri Lanka, the Himalayas and southern China, through continental Southeast Asia and into Malesia as far as Sumatra, Java, and Bali. In recent years more and more species have been described, particularly from southern China, and it is likely that there are large numbers of undescribed species in China, Vietnam, and other parts of Southeast Asia. The genus was first described by David Don in 1822, taking up the name first proposed by Francis Buchanan Hamilton. The genus remained fairly small until the beginning of the 20th century when the huge number of species of Chirita from southern China began to become known to the outside world. Chirita became very popular as a cultivated plant within the gesneriad and broader horticultural communities. Many of the species lend themselves to indoor cultivation, as do such genera as Saintpaulia (the African Violets, now understood botanically as a Section of Streptocarpus) and Sinningia (especially the Florist Gloxinia, Sinningia speciosa). Over the past forty years there have been a number of revisions of the genus, with resulting recognition of species, creation of Sections and general rearrangement. Most recently there has been focused attention on the data produced by molecular sequencing and related botanical techniques, resulting in quite dramatic changes. The former Chirita longgangensis, now in Primulina, grown at the Smithsonian Institution greenhouses.